You could say that Louisiana has had its share of tough luck over the past few years, being pummeled by Katrina and other hurricanes, along with the BP oil spill nightmare of the past spring. That said, the residents of the state have always bounced back and rebuilt when necessary and there are some positive things that have emerged over the past few years (see New Orleans Saints, Super Bowl Champs!). Many of the state�s musicians quickly returned to Louisiana after Katrina and did their part to help rebuild things by performing benefits and being seen in public, which encouraged others who had fled the state to return. Traditionally, musicians have staged concerts and appeared on many albums that were designed to raise awareness and money for wonderful causes. Such is the case with Louisiana Swamp Stomp (Honeybee Entertainment), a fantastic collection of recordings that capture the amazing Louisiana blues and roots scene perfectly. Some of Louisiana�s finest musicians are joined by some of Chicago�s finest, all for a great cause�.the newly created Northern Louisiana Brain and Spinal Cord Injury Foundation, also known as NLBSCIF group created to help increase awareness of brain and spinal cord injuries, brought on by accidents, strokes, and illnesses. The main inspiration for NLBSCIF is the guitarist, Buddy Flett. Flett was stricken with viral encephalitis in 2008 and nearly died. After spending some time in a medically-induced coma, Flett was unable to walk, talk, or play guitar, but through fierce determination, recovered to the point that he played guitar at his own benefit a few months later. Fittingly, Flett appears on Louisiana Swamp Stomp, performing �Livin� Ain�t Easy,� and shows that he�s well on the way to recovering 100%. Fans of Louisiana blues will recognize many of the other artists featured on the disc. Carol Fran, who has recovered from a 2007 stroke, covers two tracks she recorded with her husband, the late Clarence Hollimon, for Black Top in the �90s � �Tou� Les Jours C�est Pas La Meme (Everyday Is Not The Same)� and �I Needs To Be Be�d With�), with able assistance from David Egan. Former Howlin� Wolf piano man (and Kenner native) Henry Gray appears on two tracks, the appropriate �Times Are Getting Hard� and �How Could You Do It,� a song the 85-year-old Gray first recorded in the late �50s. Other local musicians contributing are Dwayne Dopsie (son of the late Zydeco legend Rockin� Dopsie), who appears with his band on the track, �Traveling Man," and New Orleans bluesman Little Freddie King, whose �Can�t Do Nothing Babe,� mixes the Crescent City with the Mississippi Delta. Soul man Percy Sledge is not a Louisiana native (he lives in Baton Rouge), but his terrific performance of a Buddy Flett/David Egan tune, �First You Cry,� is a highlight. Both Sledge and Charlene Howard, with a lovely original composition, �Send Me Someone To Love,� remind us that soul music is also a vital part of the Louisiana music scene. Also joining in are a group of Chicago-area musicians. Singer/harmonica player Omar Coleman performs a pair of classic tunes (Slim Harpo�s �Scratch My Back� and Lightnin� Hopkins� �Mojo Hand�) with Windy City musicians Billy Flynn (guitar), Bob Stroger (bass), and Kenny �Beedy Eyes� Smith (drums) in support, capturing the swampy atmosphere of the originals perfectly. 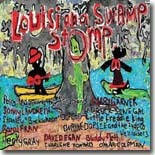 For blues fans that can�t get enough of the classic Excello Records sound, Louisiana Swamp Stomp is the perfect remedy. It was really good to hear this many artists playing this style again. Hopefully, we will see more benefit discs, and maybe a few live performances as well. This is great music, put together to benefit a great cause and should be in every blues fan�s collection. The proceeds from sales of the CD will go to benefit NLBSCIF in funding for neuroscience research in the state. For more information on the organization, please visit their website. One of my favorite CDs from last year was Jim Byrnes� My Walking Stick. It was one of those albums that sort of snuck up on me. I only knew Byrnes from his TV roles on Wiseguy and Highlander, and while I knew he was a musician, I�d never heard him. I was totally clueless and ready to lump him in with the other �celebrities� who�d made recordings (Bruce Willis, anyone?). Well, after wiping the egg off my face, I was sold�..Jim Byrnes is the real deal as far as blues and roots music goes, going back to his days as a youngster in St. Louis, listening to and playing with legends like Henry Townsend and Furry Lewis. He ain�t pretty-playin�, folks��he�s getting down and dirty. Needless to say, I was excited to see Everywhere West (Black Hen Music) in my mailbox a few weeks back. As on his previous three releases, Byrnes teams up with producer/multi-instrumentalist Steve Dawson for a glorious mixture of originals and classic blues and roots. Also on hand are some of Canada�s finest musicians, including harmonica player Keith Bennett, bass player Keith Lowe, drummer Geoff Hicks, and fiddle/trumpet player Daniel Lapp. Everywhere West is another winner for Jim Byrnes, as he pays tribute to those artists who came before him by continuing their work making the blues as vital in the 21st century as it was in the 20th. Kirsten Thien was first influenced by Linda Ronstadt and from singing in church as a youngster, but upon entering college at Georgetown, she discovered the music of Aretha Franklin and many of the women blues singers of the �20s. These discoveries moved her so much that she gave up a potentially lucrative career in banking and investment to pursue a career in singing and songwriting. At this point, it seems to be a wise move, based on her third release, on Screen Door Records, Delicious. As advertised, Thien possesses a very supple, versatile vocal style, comfortably moving from the down and dirty blues to sultry soul and pop to jazz. Delicious was produced by Erik Boyd, who also plays bass on several tracks and co-wrote a couple of tunes with Thien. Keep your eyes out for Kirsten Thien. Based on her latest effort, we�ll be hearing more from her in the future. 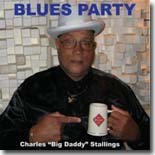 Charles �Big Daddy� Stallings calls his music �Good Time Blues With A Twist.� Raised in North Carolina with his ten brothers and sisters listening to the blues and learning to play Jimmy Reed songs, he soon migrated to Baltimore and began performing in local R&B and jazz bands before striking out on his own. He�s incorporated his influences (soul, funk, a little jazz) into his vision of the blues, all mixed together into a party atmosphere. His third release, on Tal Jeria, is appropriately titled Blues Party, and is a non-stop blast. Stallings has assembled a strong cast of D.C.-area musicians to help him out on Blues Party, including Nighthawks harp ace Mark Wenner, a sizzling horn section consisting of trumpet player Clarence Ward III and sax men Joe �E Flat� Thomas and D. C. jazz stalwart Carlos Johnson, and a rock-steady rhythm section (bass players Gail Parrish, Leroy Flowers, Jr., and Ronald Bland, drummer Russell Hayward II), along with harmonica player Steve Levine, guitarist Wayne Johns, and organist Jacky Harriston. The ensemble tackles a variety of blues styles including country blues (�Down On The Farm�), jump blues (the dazzling instrumental �Swing 2010�), and lots of funk (�Blues In Your Funk� and �James,� an on-the-money tribute to the late James Brown). Stallings is an expressive singer, whether it�s on the good time title tune that kicks off the disc, or with slow, testifying blues like �She�s Gone� and �Fine Lady.� His guitar work is top notch, mixing traditional styles with modern flourishes. Stallings mixes in a few intro to songs, which gives the disc a live feel. As he states in the opening intro, there�s enough music on Blues Party for two discs, but it goes by so fast that you don�t even realize it�..dull moments are few and far between here�.well, make that non-existent. Blues Party rocks from start to finish and should be a welcome addition to any discerning blues fan�s collection. Ohio native Terry Davidson has been rocking the Midwest and Eastern U.S. for over 40 years. With his band, the Gears, he�s played with blues icons like Buddy Guy, Muddy Waters, Johnny Winter, and Chuck Berry. His sixth album, Damnation Blues (Blue Skunk Music) shows a tight, experienced band doing what they do best, playing high energy rock-infused blues. �Quittin� Time� is a blue collar rocker with some killer slide guitar. There are also a few tracks with pop influences as well, such as the beautiful instrumental, �Three Angels,� the sinister �Black Cat Boogie,� and �Little Abigail,� which has a �60s pop feel. The closer, �High Test Love,� is a horn and guitar-driven rocker that closes the disc in fine fashion. 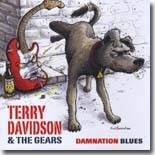 If you�re craving a pulse-pounding set of blues-rock, Terry Davidson and the Gears have the answer to your prayers with Damnation Blues. The Blazers are one of Canada�s finest blues bands, with each member (Pete Cohan � lead vocals, percussion; Josh Gordon � guitar, back-up vocals; Andrew Taylor � bass; Chris Craig � drums) a veteran of the Ontario blues scene. They�ve been playing together for six years (formerly called The Jukes), and specialize in high-energy rock-based blues. Listening to their recent release, Red Hot (Route Records), it�s easy to see why they�re such crowd-pleases in the Great White North. Red Hot consists of 11 original tunes, ranging from the rocking opener, �Flavor of the Year,� to the blue-eyed soul of �I Love You, Eternally,� to the roadhouse rocker, �Coming Home,� to the Texas-flavored slow blues, �Never Gonna Cry Again,� to the soul/blues of �My Weather.� �Wake Up� is a funky rocker, and �I�m Standing Here� has a jazzy feel. �King�s Highway� is the requisite road song, and it�s a good one to plug in while you�re headed to the house after a tough day of work. Cohan is a strong vocalist, and Gordon does yeoman�s work on guitar, showing a ton of versatility in his playing. The rhythm section of Taylor and Craig hold things together splendidly. Lending a hand are Canadian guitar legend Jack DeKeyzer, who plays on five tracks, Al Lerman on sax and harmonica, and Dave McMorrow on keyboards, but the Blazers really don�t need a lot of help. As a group, they can really rock the house. 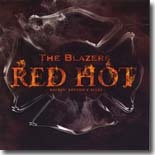 Blues/rock fans will find a lot to love about Red Hot. Visit the band�s website for more information. The Delta Flyers play a brand of blues with origins in the Mississippi Delta, New Orleans, and Chicago�.nothing flashy here, just the kind of blues that appeals to both purists and newcomers. 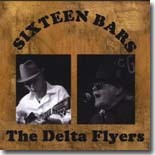 Their latest release, on Soulbilly Records, is called Sixteen Bars and is a perfect blend of these styles, plus some other influences thrown in, too. Lead vocalist/harmonica player Steve DuPree has been performing since the early �60s, with a 20-year hiatus to help raise his kids. He wrote or co-wrote all ten songs on Sixteen Bars with guitarist Travis Stephenson. There are some standout tracks here, including the opener, �61 Highway Blues,� a slide guitar workout with mandolin thrown in for good measure (courtesy of Rich DelGrosso). The title cut is not about a barroom, but about the bars of a jail cell door. The catchy �Mentone, Alabama� features dueling resophonic guitars and harmony background vocals. �Sunflower River Rag� is a laidback front porch-type tune with DuPree�s harmonica and Stephenson�s resophonic guitar backed by some gospel-influenced harmony. Other highlights include �Poison Took My Baby,� a somber look at addiction, �Fishin� Little Mama,� a tough little Chicago-style shuffle, and �Baby Jane,� a hard-driving country-flavored rocker. The closer, �I Got To Testify,� is another old-timey tune with DuPree singing through his harp mic, DelGrosso teaming up with Stephenson for some pretty picking, and a raucous group of back-up singers called The Fabulous Inebriators. Sixteen Bars is a highly enjoyable set of traditional blues with some modern touches throughout that will satisfy fans of blues and roots music immensely. 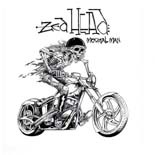 Zed Head is a band I hadn�t heard of before, very firmly in the ZZ Top, Texas blues category � a real rocking blues band from Canada. The core of the band is a trio, made up of Neil Chapman, Fog Johnny Burnett and Smilin� Bob Adams, and to this they add a list of guest artists to make up the sound. The 14 tracks on Mortal Man (Blues Boulevard) are mostly originals, written by the band, and there are some gems amongst them, especially if you like rocking Texas type blues. The opening track �Texas Twister� sets the scene with a real foot-tapper that includes some very well put together slide guitar. A lot of the tracks include references to bikes and cars and trucks, and so the music is real driving blues like track two �Fast Ford Freddy�, another good rocking blues, slightly slower than �Texas Twister,� but not by much. Next up comes a track that surprised me, a good blues version of the old Junior Walker & The Allstars hit from the �60s, �Shotgun,� written by Autry De Walt. The track stays true to the original, keeps the flavour, but puts the band�s stamp on it too. Lonnie Mack previously recorded a version of this song, so it obviously lends itself to being bluesy. The tracks alternate between up-tempo and medium, but all with a good driving beat and all well-written and well-played by very competent musicians. The Next Stage (Music Avenue) is Stevie Cochran�s third CD released by Music Avenue/Blues Boulevard, who always spot good new talent. He previously released some albums independently, but he started to really get noticed when he signed to Music Avenue. This particular CD is more rock than blues, but the rock has a blues flavour, and there are some real blues tracks included, like the opening track �Heckle and Jeckle� which has some marvellous guitar work in it. All 14 tracks were either written, or co-written, by Cochran so it�s a very original album and shows off his song writing capability. The tracks vary in tempo from ballads to driving, rocking, blues, with lots of different influences showing through, and excellent guitar work the whole way through the album. I often try and pick a favourite track from the CDs that I review, and from this one it has to be track nine, �Sweet And Evil,� a very good up-tempo blues with lots of atmosphere � makes me wish the whole CD was in this style! (but then that wouldn�t suit everyone). The album wraps up with a jazzy influenced �Fix It Man,� just to show that this guy can play a little bit of everything. 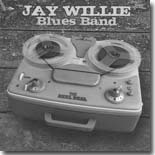 The debut CD, The Reel Deal, on the Music Avenue label from Connecticut-based Jay Willie Blues Band is out, and what a good start they�ve made. The guys at Music Avenue seem to have an instinct for good blues music, and this album in no exception with eight very strong blues tracks from a band that features Tommy Shannon on bass � a sure recommendation! The album opens with a good rocking blues, �Hey Hey Baby,� written by guitarist/vocalist Robert Callahan. This track really grabs the listener and leaves them wanting more from this very tight four piece band. I�ve already mentioned the well known Tommy Shannon (known for his work with Johnny Winter and, of course, with Stevie Ray Vaughan) and Robert Callahan, and in addition there is Jay Willie playing guitar, slide guitar and harmonica, and another ex-Johnny Winter man Bobby Torello on drums. The title tracks shows up as track two on the CD, �The Reel Deal,� written by leader Jay Willie. It slows down slightly from the frenetic opening track, but retains a driving beat to it. The first of the covers comes next, and it�s an old favourite of mine, Slim Harpo�s �Raining In My Heart.� What a good choice for inclusion on this album! It shows off Jay Willie�s harmonica playing and it�s a really good version of a classic track. The Ronnie Hawkins song, �Mary Lou,� picks the tempo back up a bit and tells the story of a woman who takes her boyfriend�s Cadillac, along with his diamond ring and his watch. Things slow right down with a Robert Callahan ballad next � �Ain�t Gonna Walk Your Dog Anymore.� This song sounds as though it has a lot of influence from the late, great, Elmore James. Drummer Bobby Torello contributes the next track, another rocking blues, �Liar,� which feature some great slide work from Jay Willie above a driving beat from the rhythm section. It leads into the Chuck Willis song, �Stoop Down Baby,� and then onto Little Sonny�s �A Woman Named Trouble� to finish off the album with a great closer. This band is tight from start to finish and deserve to do well with this CD. 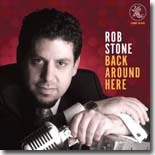 Back Around Here (Earwing) is Rob Stone�s third album, his second on the Earwig Records label, but it�s been a long seven years since the last one. He�s been working the clubs and backing other musicians on their albums during that time, so we can just guess that he was biding his time. Whatever, the cause of the delay, this CD was worth waiting for, and Stone is joined by a wealth of experienced musicians � a line up that is becoming the Earwig Records house band almost. His friends Chris James & Patrick Rynn are there (he joined them on their recent CD Gonna Boogie Anyway) along with the superb pianist David Maxwell, Willie Hayes, Sam Lay, Willie Big Eyes Smith, Jeff Stone and a few more. The album contains eight tracks written by Stone with James and Rynn, and four covers � songs by Sonny Boy Williamson, Magic Sam, Leory Carr and Lowman Pauling. The CD opens up with an original, �You�re No Good For Me.� Robb Stone picks his harmonica up for this one (and quite a few more too), David Maxwell provides the piano, Jeff Stone the guitar and Willie Hayes plays the drums. The Sonny Boy Williamson track, �Love You For Myself� is nothing short of superb � this is from the original John Lee Williamson rather than Rice Miller. Aaron Moore takes the piano role on this one, giving it a period feel, and Willie Big Eyes Smith is on the drums. Rob Stone shows just how good he is on harmonica on this track, laying down some amazing work. The following track (track four) is another cover, this time a Magic Sam song called �Give Me Time,� one that I�m not over familiar with, and more R&B than blues. I have to say that I like this one a lot, and I�m now frantically trying the find the original. �I Need To Plant A Money Tree� with a nice shuffle beat, brings out some more great harmonica again and it�s followed by a song about the delights of night time Chicago, �Chicago All Night.� Stone picks Leroy Carr�s �Sloppy Drunk Blues� as his next cover, and makes a good job of it, too. He follows it with the last of the covers, �It�s Hard But It�s Fair,� with a 1950s big band feel to it, courtesy of the saxes of Rodney Brown and John Bowes (tenor and baritone respectively). As I said above, a CD well worth waiting for � hopefully, we won�t have to wait so long for the next one! When Chris James & Patrick Rynn produced their 2008 CD, Stop & Think About It, I thought it was a refreshing listen, a mix of original songs and cover versions. 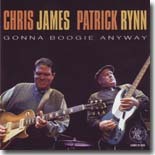 With Rynn on bass and James on vocals on their latest, Gonna Boogie Anyway (Earwig), they drive the music along, helped by a string of quality guest musicians such as Sam Lay, David Maxwell, Willie Hayes (who was in the group Blue Four with James & Rynn), Allen Ortiz, Bob Corritore, Henry Gray and others. The result is a superb mix of blues with eight of the 12 tracks written by Chris James, Patrick Rynn and Rob Stone � the four cover versions are by Bo Diddley (two), Jimmy Reed and Robert Lockwood Jnr. The album opens with the track �Money Don�t Like Me.� This is a good song, with added interest from two saxophones (Jonny Viau and Allen Ortiz), two guitars, bass, piano and drums, and a good way to open the CD. The following track is a cover, this time one of the two Bo Diddley tracks on the album, �Dearest Darling.� It�s done in true Bo Diddley style and works well, played by a quintet of James & Rynn backed by David Maxwell on piano, Willie Hayes on drums and Rob Stone playing maracas. The tinkling piano provided by David Maxwell is absolute magic here. The first of the original tracks comes up next, �You Can�t Trust Nobody,� and it�s played by a stripped down trio of James, Rynn and Maxwell � guitar, upright bass and piano bringing the tempo down just a little. This song has a strong 1950s flavour to it, and I love it! Track four, �Life Couldn�t Be Sweeter,� sees the band back to a septet with the two saxophones back in the line-up for a nice swinging jump blues song. This runs into �H.M.Stomp,� played by a sextet of two guitars, bass, piano, drums and harmonica (Bob Corritore). This is, without a doubt, my favourite track on the album, and Maxwell�s piano work on it is just fantastic, pushing along the two guitars really well, with the bass and drums keeping everything cooking. I could listen to a whole day of this! Try listening to it and sitting still � impossible!! The James/Rynn duo bring up the next track, �Headed Out West,� one of two on the CD played by the duo on their own. Rynn is back on the upright bass with James on vocal and guitar, and this track works so well. The piano comes to the fore again in the Jimmy Reed song �Can�t Stand To See You Go,� but this time it�s provided by Henry Gray who gives it a slightly different feel to the playing of David Maxwell. Here the piano is more of the New Orleans boogie woogie style, and it fits the track just right, accompanied by the harmonica of Rob Stone. The title track, �Gonna Boogie Anyway,� is another jump blues track with the two saxes back on line, honking away in front of the rhythm section � another foot-tapper! Two well-written (and played) originals follow, �The Tables Have Turned� and �Money Don�t Like Me, Part 2,� before we get to the Robert Lockwood Jnr track �Black Spider Blues� � the second of the tracks played just by the duo of James & Rynn. My second favourite track on the album, faithful to the original without being a copy. The album wraps up with the second Bo Diddley track, �Little Girl,� a fitting way to end the CD. Indiana bar band Head Honchos are a father and son blues/rock combo led by Howard & the White Boys guitarist Rocco Calipari Sr. and his son Rocco Jr., who also plays guitar. The band is rounded out by Chicago area mainstays C. C. Copeland on bass and Scott Schultz on drums. These guys know how to rock out as heard on their self-released EP Head Honchos. The album kicks off with the Freddy King standard "Going Down" --- a good version but a little too close to the original which has already been done to death in the past 30 years. I prefer the Head Honchos when they step outside the boundaries, like on the strong cover of the Neville Brothers' "Fire on the Bayou" in which they give it their own funky treatment highlighted by an incendiary guitar solo by one of the Calipari clan. "Good Love" is an original mid-tempo blues that features nice piano accompaniment from guest musician Steve Ball and good vocals from Calipari Sr. The band turns up the tempo with Willie Mitchell's soul party classic "That Driving Beat," which has Ball switching over to organ and a guest horn section joining in to give it the appropriate Memphis soul vibe. Head Honchos sticks to the soulful side to close out the album with Wilson Pickett's "99 1/2 Won't Do." Calipari Sr.'s voice won't ever by confused with that of the Wicked One, but he acquits himself well and the band provides the right soulful funky backing. This isn't an essential CD, but it was fun to listen to it. For more info on the Head Honchos, check out the band website. John Primer has always been one of the top backing guitarists on the Chicago scene, especially with his work over the years with Magic Slim & the Teardrops, but has also frequently stepped to the front of the bandstand showing his ability to be the star of the show. 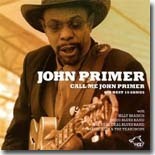 Call Me John Primer - His Best 15 Songs (Wolf Records) captures Primer with various ensembles dating from 1987 to 2009. The 15 cuts here are all top-notch stuff, starting off with an emotional slow blues, "If I Could Hold You In My Arms," a Primer original from 1991 that featured the always excellent Billy Branch on harmonica and the equally fine Leo Davis on piano. Listening to this cut alone gave me an undying desire to be sitting in a Chicago jook joint listening to some serious blues --- I've just got to wait for the weather to get better! Primer really shines both vocally and with the guitar on the next cut, "Poor Man Blues," a mid-tempo blues shuffle that he recorded in 1987 with other members of the Teardrops. He then shows that he knows what to do with a slide on the slow blues, "I'm A Blues Man," and later on the Elmore James classic, "Shake Your Money Maker." Primer also pays tribute to a couple of Chicago legends with great versions of Willie Dixon's "Evil" and Howlin' Wolf's "I've Been Abused." Magic Slim joins in on guitar on the wonderful slow blues, "Blues Behind Closed Doors." written by Primer and recorded with the Teardrops in 1993. Four of the later cuts on the CD, "You Got To Pay the Price," "Call Me John Primer," "Goin' To N.Y" and "Call Me On the Phone" were recorded in 2009 in Vienna, Austria. Primer is just as strong as ever and the local band backing him is good, but I prefer the older recordings on this disc --- they just feel like Chicago. Call Me John Primer closes with the lone solo acoustic cut, a very nice cover of Jimi Hendrix's "Red House," recorded in 1993. It's a nice finish to an excellent compilation of Primer's music. If you're an aficionado of the Chicago blues and don't have enough of his material in your collection, this is (pardon the pun) a good primer on John Primer's music.